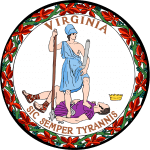 The code of Virginia contains the details of how child support from a non-custodial parent is arrived at. You have to present your income details which will be evaluated against the child care costs including but not limited to insurance, education, and upkeep. It sets out a procedure to be undertaken child support cases and what each child will receive from both parents. The guidelines try to make sure that the child is in good care financially.